An old adage tells us to spend our money where we spend our time. Since most people spend about a third of their lives in bed, it’s no surprise then that luxury bedding is a big business. The bedding market in the United States is worth around $9 billion, and bed sheets account for about $3 billion alone. Interest in luxury bed sheets has soared in the last few years, as consumers look for higher and higher thread counts, and manufacturers scramble to accommodate these tastes in an ever-escalating arms-race on the label. Whereas 200-thread-count sheets were once considered luxuriously high, today it is not uncommon to see thread counts in the four digits, which were unheard of just a few years ago. Bed sheet thread counts simply measures the number of threads per square inch, counting vertically and horizontally. Traditionally, this meant a fair count of individual threads, but as consumers demanded higher thread counts, some sheet makers now double or even triple the number on the label by using thinner threads wrapped together — even though the amount of fabric may not have increased. Along with thread counts, there are other factors to consider when evaluating bed sheets. Although a sheet may have a high thread count, it could be made from an inferior fabric. Bed sheet experts say that a long-staple cotton fabric may be more comfortable than a sheet made with shorter-staple cotton that has a higher overall thread count. Another important factor of the look and feel of bed sheets is weave type. The type of weave makes a huge difference in the tactile characteristics of a sheet, and it may come down to a matter of personal preference. If you like a warm and cozy feel, a flannel weave makes the most sense. That’s a medium-weight weave with a distinctive napped texture created by stretching and lifting the threads. A satin weave, made with silk, leaves sheets glossy and feeling extra smooth and slick. This effect is achieved by floating certain threads over others. When cotton, instead of silk, is weaved this way, it is called sateen. Sometimes cheaper sheets weaved this way with nylon or polyester are also labeled as satin. 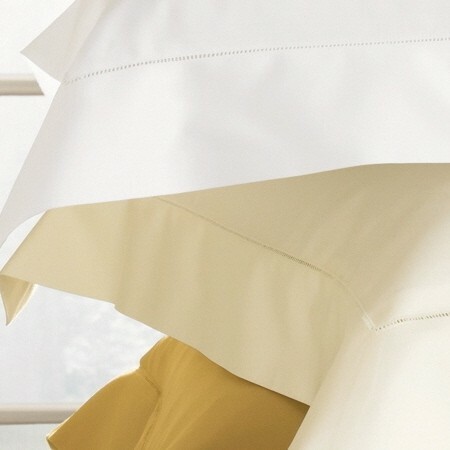 Percale is a tight weave that produces firm and smooth sheets. Unlike silk or sateen, percale is never glossy. Sheets with percale weaves can be 100 percent cotton or a blend of other fabrics, so it is important to check the label. Some bed sheets are not woven at all. Jersey bed sheets are popular, and are knit, not woven. Jersey sheets are stretchy and feel like tee shirts. No matter your preference, buying the best bed sheets can be pricey. Here are the most expensive bed sheets you can buy. 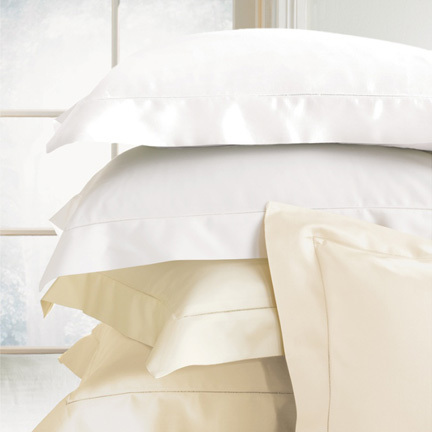 These sheets kick off our list with a whopping thread count of 1500. Designed for use in expensive waterbeds, these sheets are made with 100% Egyptian cotton, which is considered the most luxurious of all cottons worldwide. The weave for these sheets is sateen, giving them a smooth feel. Once again imported from Italy, these sheets top the $600 mark due to their high thread count, quality Egyptian fabric, and ornamental hemstitched detail finishing on every sheet. The weave is a soft, smooth sateen. These silk sheets are made from silk threads so fine that Dreamsacks promises their softness will surpass that of even ultra-high thread-count cotton sheets. These sheets feature a charmeuse trim and charmeuse silk piping on the hem, which is a satin weave that leaves one side extra glossy and the other side matte. 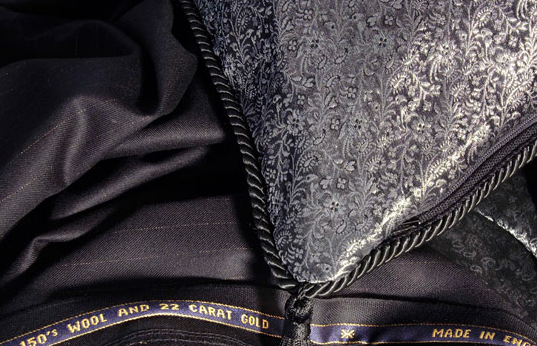 The sheets themselves are of matte finish, achieved by washing the silk with sand before manufacture. 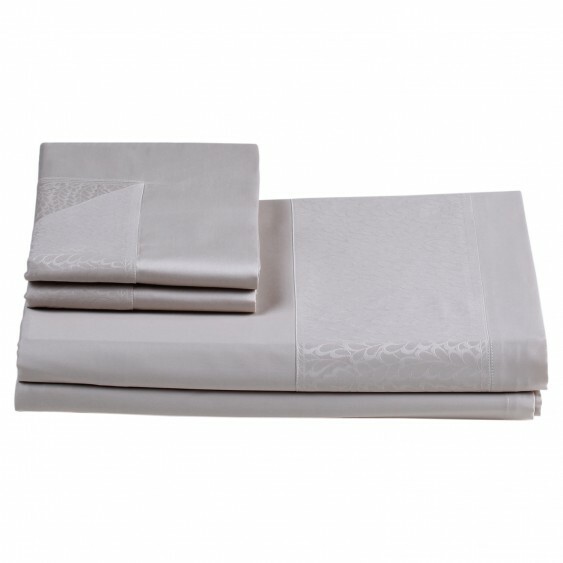 These imported sheets are made with all Egyptian cotton that is spun in Italy. With a high thread count and luxurious sateen weave, these sheets are described by Sferra as “pure perfection.” Each sheet features an inset border with jacquard weaving, which is a loom set-up that allows elaborate and ornate designs to be created in the fabric. These sheets are made with the longest-staple Egyptian cotton that are spun into “gossamer yarn,” which is a very fine fabric resembling the texture of cobwebs. The cotton is spun in Italy, where the sheets are woven using a sateen weave. These sheets also include a decorative hemstitch border. These sheets are made from 100 percent Egyptian cotton and feature a thread count of 1020 threads per square inch. 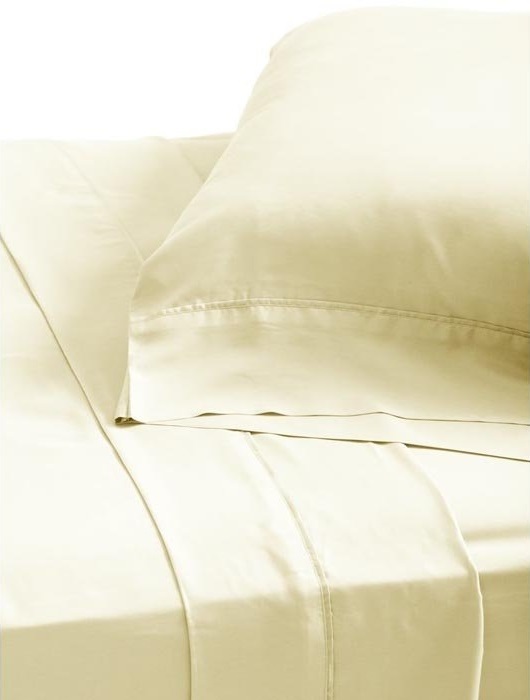 The sheets are woven in Italy into a sateen weave that is polished to be soft and luminous. Sferra is so proud of its high thread count in these sheets that, upon request, the company will send you a personalized letter verifying the authenticity of the thread count. Made in Italy, these sheets have an ocean motif. The sheets come in a set that features seaweed-pattern borders and sea anemone designs on the top sheets and shams, and each sham has four frills. The weave is cotton sateen. Whereas all of the cotton sheets on our list so far have featured a sateen weave, these costly sheets are percale. That tight weave gives them a firm and crisp texture. Each sheet has decorative hemstitching details. It’s no surprise these sheets are the most expensive bed sheets you can buy, as they feature 22-carat gold woven directly into Merino wool fabric. The wool is backed with a silk jacquard and then added to 1000 thread count sheets made from Egyptian cotton. Each order is made individually to the client’s specifications, and takes up to 12 weeks to complete. Charlotte Thomas says that the result of this process is the finest bedding money can buy.